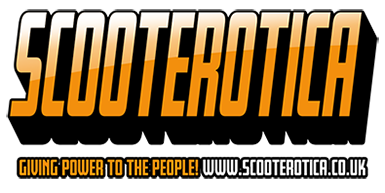 Topic: Miles Per Gallon from your Scooter? Re: Miles Per Gallon from your Scooter? He delivered everything I asked for with my motor. Had mine in for a year now - so far,so good. Running on a 230 TS1 with 27 bhp. Can't fault the clutch, does it says on the box. Topic: Power jet - who from and best one? Re: Power jet - who from and best one? Power jet - who from and best one? I need a powerjet for my TMX 35. Best one and supplier? I need to get one on order ASAP. I run a 16/46 on mine - Li150 box. TMX35 carb and Franspeed Race pipe. Pulls like a steam train when in the power kicks in at 5000 rpm! Agree with Cezeta - i use the Wurth black sealent in my rebuilds and everywhere else which needs sealing!. Its about a tenner and comes in an easy finger touch applicator for fiddly jobs. Topic: S2 Li150 Winter Model - very regretable sale. Re: S2 Li150 Winter Model - very regretable sale.